Watch the 3rd Presidential Debate of 2016 Live Online Here! The 3rd and final Presidential Debate of the 2016 election season is available for you to watch via livestream right here beginning at 9 p.m. ET/6 p.m. PT tonight, Wednesday, October 19. On Web, just head to the ABC Livestream page and make sure you're logged in. On Mobile, download the ABC App from your supported device's app store like iTunes® or the Google Play® store, log in, and hit "live tv." For a list of supported devices and where to download the ABC App, check out the App page. On Set-Top, make sure your device has the ABC App installed and you're logged in, then hit "live tv" to see the livestream. Check the App page for supported devices. 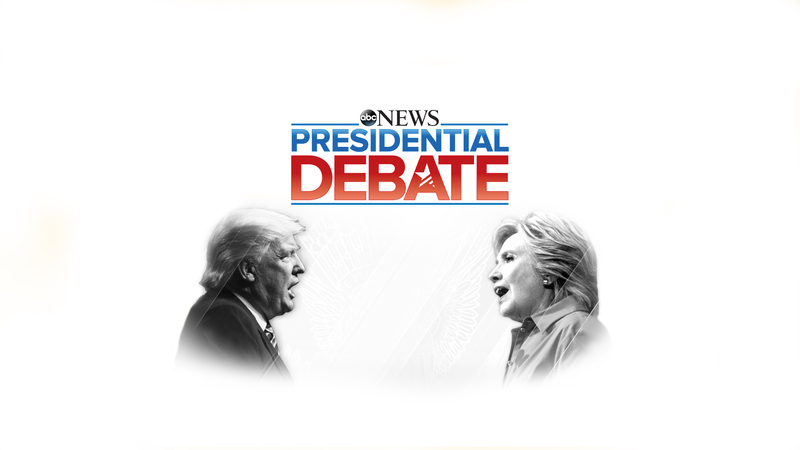 So whether you're tuning in to ABC or through a device wherever you happen to be, you can watch the Presidential Debate on ABC LIVE! The third debate of 2016 will have Chris Wallace as moderator. Be sure to watch Jimmy Kimmel Live! after the debate for his special take and special guests, too! ***Live stream available with a participating TV provider account in Chicago, Fresno, Houston, Los Angeles, New York City, Philadelphia, Raleigh-Durham and San Francisco. Customers with a DirecTV subscription in the following markets will also be able to watch the ABC live stream: Albuquerque, Boston, Ft. Smith/ Fayetteville, Jackson (Mississippi), Kansas City, Milwaukee, Monterey-Salinas, Oklahoma City, Omaha, Pittsburgh, Portland-Auburn (Maine), Savannah and West Palm Beach. Program substitutions may apply. After the debates, check out the full lineup of ABC fall premieres that are now playing! Below is your one-stop spot for the season and series premieres of all your favorite ABC shows. Watch new shows like Designated Survivor, Speechless, Notorious, Conviction and American Housewife for free without signing in! All of your favorite returning shows like Grey's Anatomy, Modern Family, black-ish, Marvel's Agents of S.H.I.E.L.D. and more are also here. Check back each day as more shows premiere during an action-packed fall season. But for now, kick back and click on all the awesome ABC shows that are now playing below! Just click the links below and enjoy the shows! Ten-time Emmy-nominated limited series American Crime, created and executive produced by Oscar®-winner John Ridley (12 Years a Slave), returns. Additionally, When We Rise, created by Oscar®-winning screenwriter Dustin Lance Black (Milk, Big Love, J. Edgar), will air as a limited series event during the year. Dirty Dancing, a three-hour filmed musical event; Ali: The Champion," a special honoring boxing legend Muhammad Ali; and an all-new special from David Blaine following his critically acclaimed ratings smash David Blaine: Real or Magic were also announced.